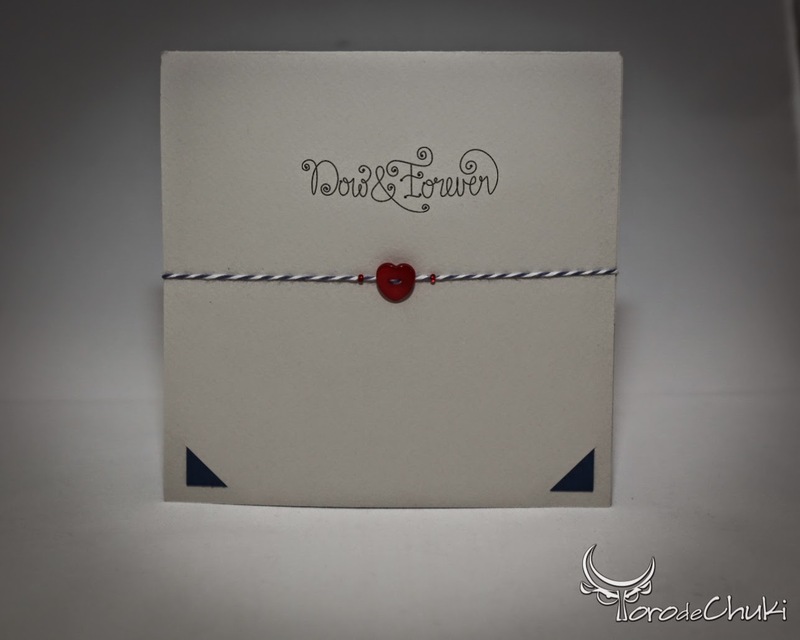 Wedding Season is here, and so is the new Now and Forever© stamp set from OAK Tree Stamps©. The sentiment is stamped in the front of the base card. 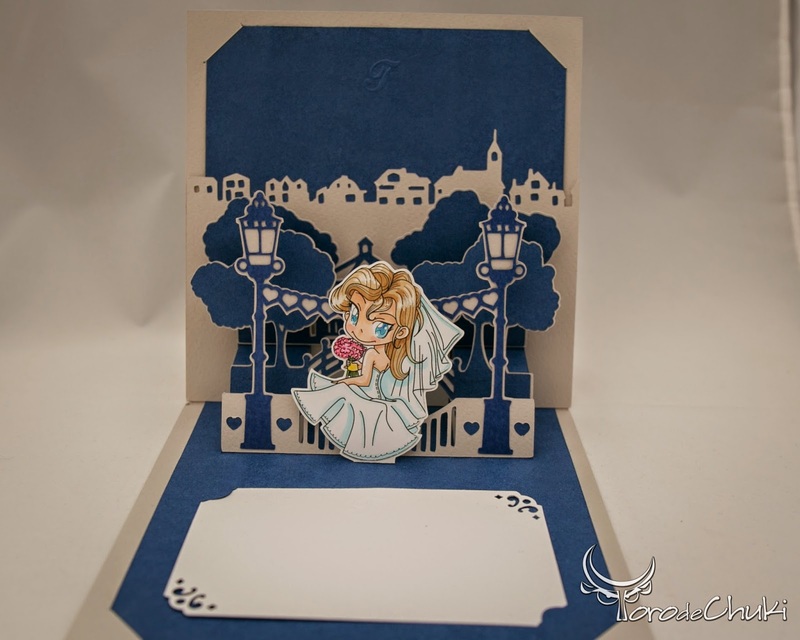 For this card I used 3 colors of cardstock - 65 lb. light gray, navy blue and white Copic Express Blending Card, great for coloring with alcohol based markers. 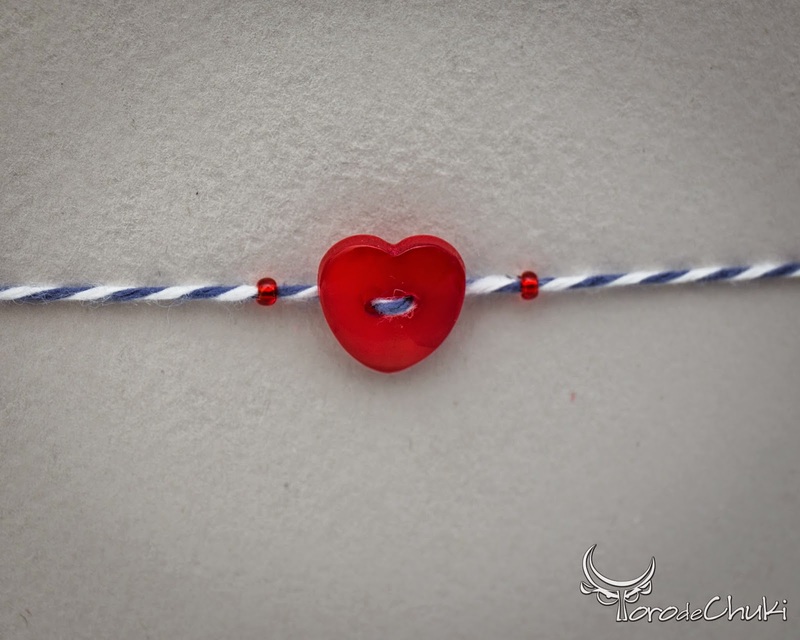 To give it a little color, I threaded a blue and white baker's twine through a red heart button and a couple of beads and tied it in the back. 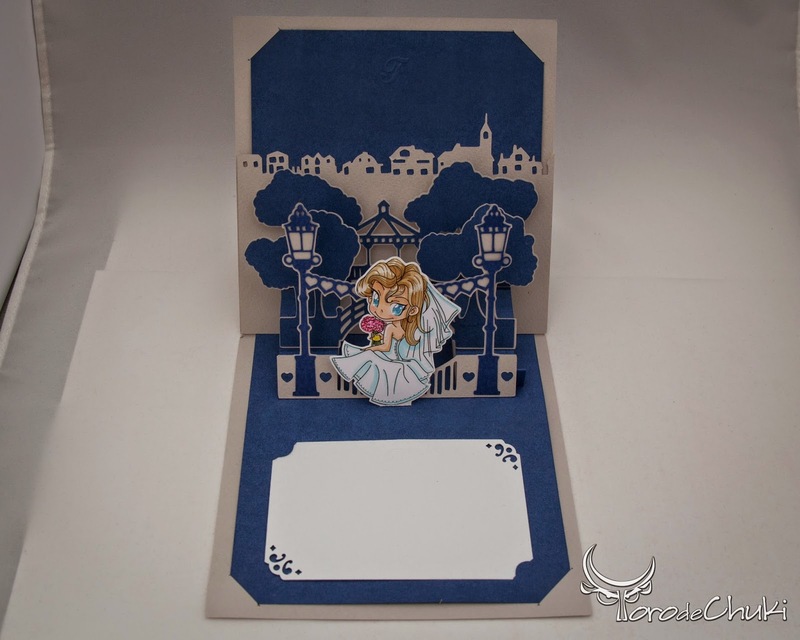 This is a Pop-up card with three layers with offset paths to help them stand.